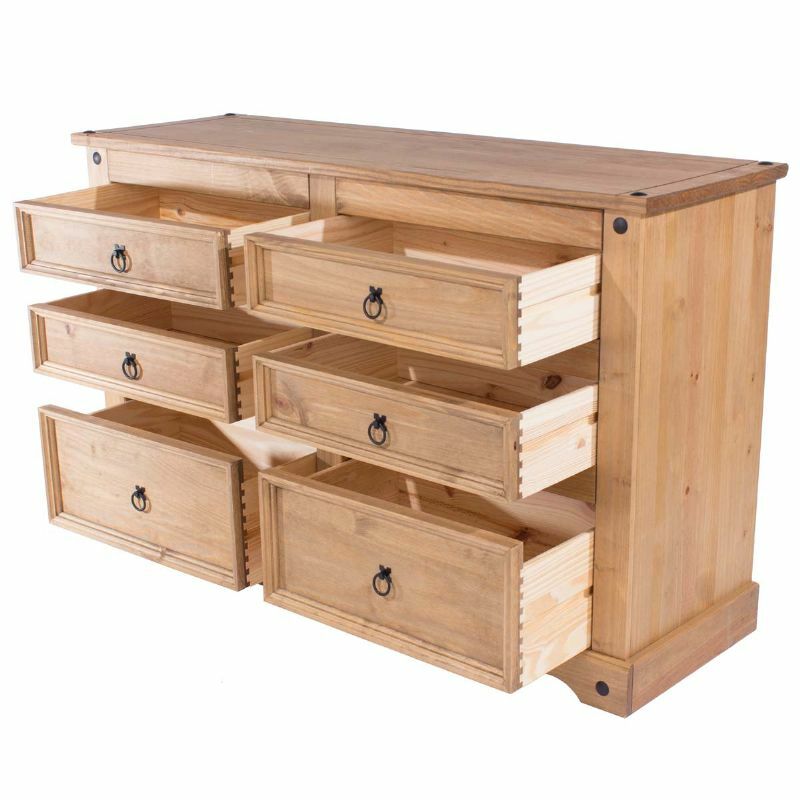 This magnificent, chunky pine Corona 3 and 3 Wide Chest of Drawers from Core Products gives you plenty of space to store your clothes. 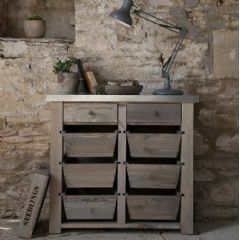 Beautifully crafted, it adds rustic charm along with practicality wherever you place it. Featuring easy grip ring handles, it offers you great value for money by combining age-old Mexican furniture design with a modern finish. 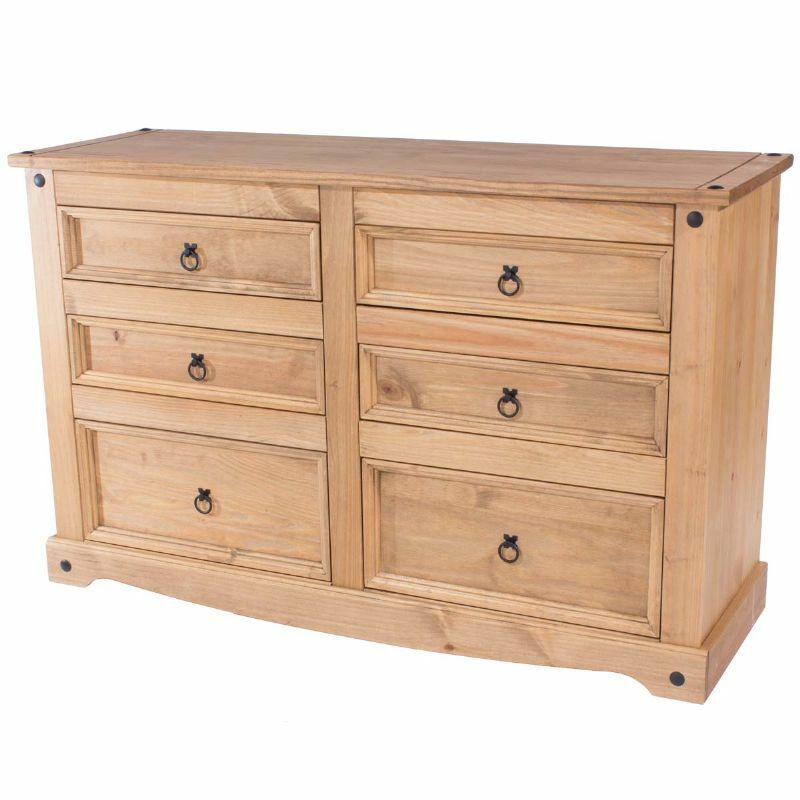 This high quality chest of drawers has been expertly crafted from solid pine which allows the natural grains and textures to show and comes with a pine plywood cabinet back and drawer bases. The decorative drop ring pull handles and metal studs add to the overall charm and are traditional in shape and style.